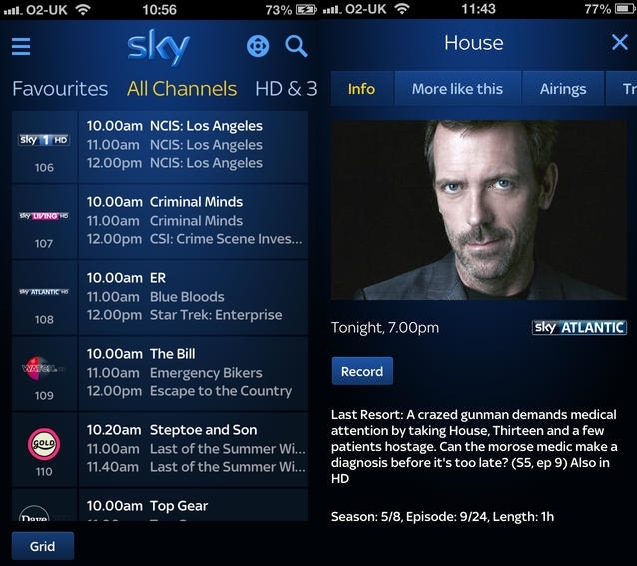 BSkyB, better known as Sky, has updated its Sky+ iOS app for the iPhone and iPad to include new features like a more powerful search tool, new DVD cover art and an easier way to find out more information about a show or the cast. The update to version 4.5 of the Sky+ app was released today and allows users to search the TV guide and on-demand sections by title, actor, channel, sport or various other criteria. The revamp also brings ‘Discover More’ to the iPhone, allowing users to find out about actor and background info on the shows, as well as view trending topics and tweet or post to Facebook from directly within the app.